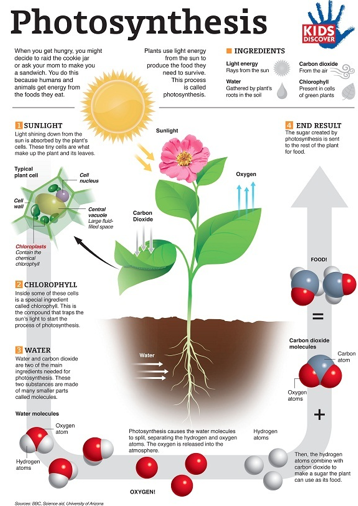 Photosynthesis is a process used by plants to convert light energy from the sun into chemical energy. Basically in a plant, water is absorbed in the roots, it is transported in the stem, and eventually arrives to the leaf where photosynthesis actually occurs. Photosynthesis occurs in the chlorophyll in the chloroplast. In the mitochondria, a form of chemical energy called adenosine triphosphate, or ATP, is made. The light energy (the sun) is absorbed by proteins in the chloropphyll pigments. Photosynthesis uses carbon dioxide and produces oxygen. The energy is then turned into chemical energy. Cellular respiration in plants takes in oxygen and produces carbon dioxide in the lungs through the respiratory gas carried in the blood stream. This process converts stored energy into a chemical that cells consume. The plant cells break down sugar through cellular respiration then the sugar particles produce energy. 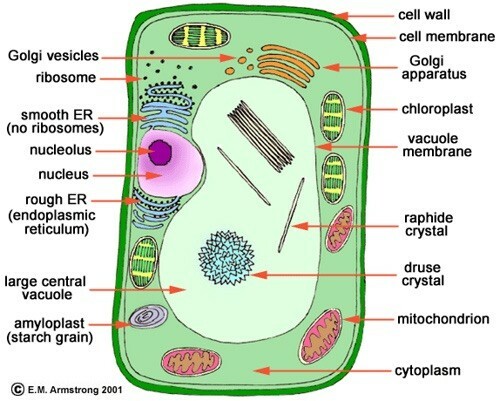 Cellular respiration in an animal cell is very similar to a plant cell. The cell takes in oxygen and releases carbon dioxide in the lungs when the bloodstream carries essential respiratory gases. 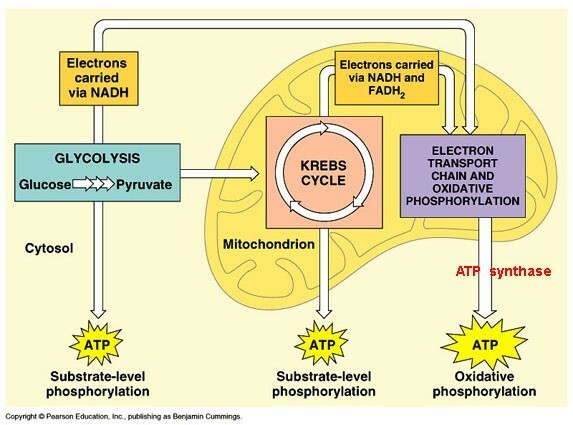 Cell Respiration occurs in the mitochondria of the cell, as you can see below. 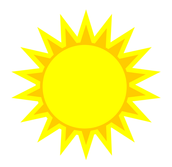 The sun is the main energy source in photosynthesis. The relation between photosynthesis and cell respiration in cells is important, yet simple. The two chemical processes both have 3 stages and produce ATP and other compounds. Although they don't produce and require the same products, photosynthesis and cell respiration both rely on the movement of electrons. 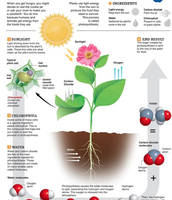 There are many differences with photosynthesis and cell respiration, but one of the biggest ones is what they produce. Photosynthesis releases oxygen, and cellular respiration releases carbon dioxide. Also, photosynthesis occurs in the chloroplast and cellular respiration occurs in the mitochondria. ATP synthesis is the main operation in cellular respiration, and in photosynthesis ATP is only used to make glucose. "Photosynthesis - Google Search." Photosynthesis - Google Search. N.p., n.d. Web. 03 Dec. 2015. "Cellular+respiration - Google Search." Cellular+respiration - Google Search. N.p., n.d. Web. 03 Dec. 2015. "The Animal And Plant Cells - Lessons - TES." Blendspace. N.p., n.d. Web. 03 Dec. 2015. 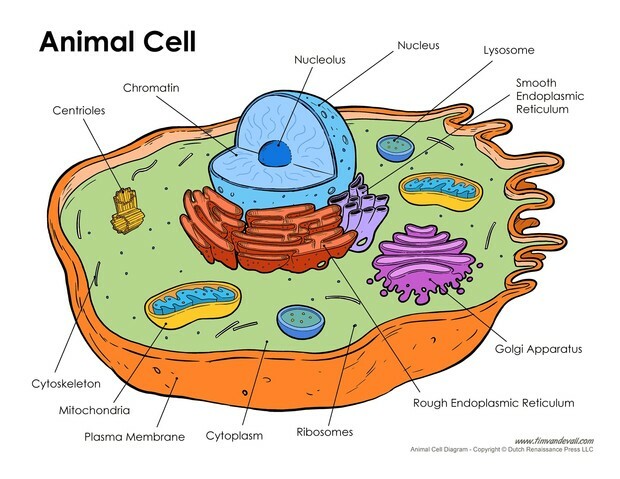 "Animal-cell-diagram - Tim's Printables." Tim's Printables. N.p., n.d. Web. 03 Dec. 2015.